Due to the overwhelming popularity of the camp, registration is full. Students will be selected by lottery and notified via email by Thursday, February 2, 2017. 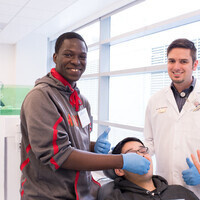 Thank you for your interest in our Dental Camp!